As the wind, rain and cold weather hit the streets, many kids lose interest in the outdoors. But that does not mean they are no longer in need of daily physical activity. When your kids are able to remain active during the winter months, it helps them maintain a strong sense of well-being. You and your primary care doctor in Arkansas can encourage them to keep moving through the winter with these six fun activities. 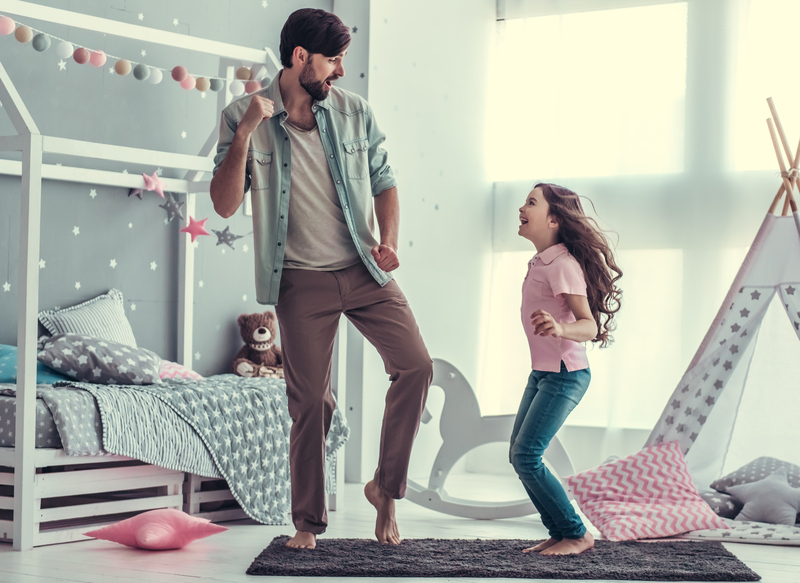 With a dance-off, you can tap into your kids’ love of silliness and activate their competitive streak. To start this activity, have your kids stand together in a circle, and then play the up-tempo music. As everyone shows off their best moves, keep the fun going by shouting encouragement and cheering each other on. After each song, take a one to two-minute break, and then go straight into the next. Interactive yoga routines encourage kids to get moving and test the limits of their strength, endurance, and flexibility. Select between five and seven kid-friendly yoga moves for each session. Excellent yoga moves for kids include the butterfly, cat, dragon, dolphin, and camel poses. Encourage your kids to hold their poses while practicing mindful breathing to support the health of their bodies and minds. A parkour course built in the middle of your living room might sound a tad nutty, but it will actually help direct your kids’ energy in a positive way. Utilize the items in your house to create a challenging, yet rewarding obstacle course. You can put out cushions for leapfrog or assemble string overhead for army crawls. Encourage your kids to help build the obstacle course to get them excited for the activity. Your kids do not need much room to play balance games that can have a positive impact on their health. The balance games focus on building the core muscles and teaching kids to remain mindful when working with their bodies. You can set up balance beams or simply draw a line on the floor with chalk to use as a guide. Jump rope has an amazing ability to get your kids’ heart rates pumping within a short period of time. This activity can be safely enjoyed inside as long as there is nothing breakable in the vicinity. For that reason, a garage is often a great place for jump rope. Your kids can play jump rope on their own or with a group of friends. Try out fun variations, such as Double Dutch, and speed jumping to increase the challenge for your kids. Keep your kids moving and thinking with balloon bounce games. Simply fill up a balloon with regular air and challenge your kids to never let it hit the floor. Be prepared for the games to continue through meals and other activities, as the balloon bounce is way too fun to stop. As you work on helping your kids stay fit, active and healthy, partner with the care team at your family medical center in Arkansas. Through this partnership with your kids’ primary care doctor in Arkansas, you can actively help support the health and well-being of your children. Schedule an appointment at ARcare to receive the support you need by filling out our online request form.